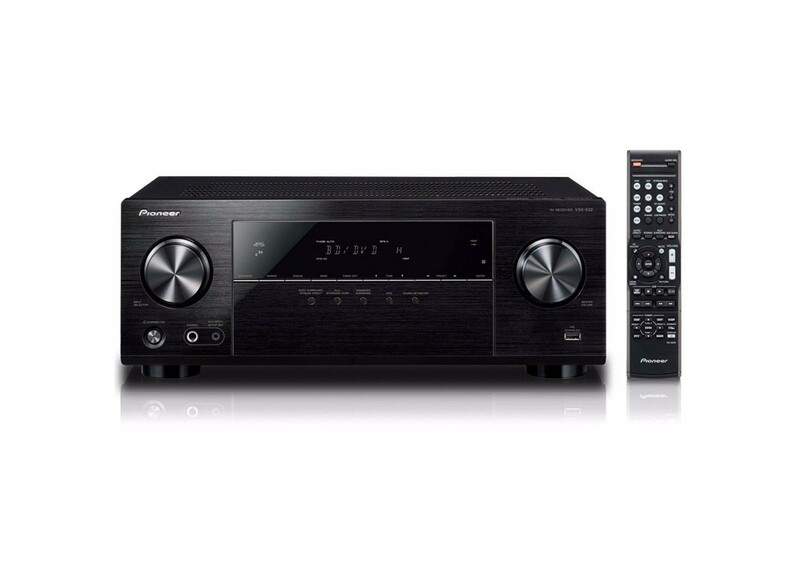 The VSX-532 is an ideal center piece for creating your own home theater system, featuring 4 HDMI inputs and Ultra HD (4K/60p/4:4:4) and HDR (High Dynamic Range)* pass-through with HDCP 2.2. Enjoy audio streaming from compatible devices with the built-in Bluetooth Wireless Technology. Pioneer’s signature MCACC and Phase Control technologies provide synchronized sound for a realistic and dynamic performance. The feature lets you take advantage of the highest-quality video source, by passing through 4K/60p /4:4:4 signals for viewing on a compatible display. The VSX-532 supports HDCP 2.2, so by connecting to a compatible device, you can enjoy premium content such as 4K videos with digital copy protection. The VSX-532 is ready to pass through the next generation video standard HDR (High Dynamic Range), which was adopted by Ultra HD Bluray. HDR is a technology that drastically expands the brightness peak, providing a higher contrast between light and dark images, which creates even more life-like pictures. When amplifying multi-channel audio signals, receivers use a Low Pass Filter (LPF) to process low-frequency signals for subwoofer output. This causes phase shift of the low-frequency signals compared to the main channel signals, and the delayed bass makes the sound lack synchronization. Pioneer’s Phase Control technology effectively eliminates phase lag and reproduces clearer mid- and high-range sound. You can feel the bass vibrating the air and deeper voices in films, and the groove of the performer in music content. The VSX-532 supports Dolby TrueHD and DTS-HD Master Audio surround soundtracks, letting you experience the world of true highdefinition entertainment from Blu-ray Discs. The lossless codecs are bit-for-bit identical to the studio master. The front panel USB input terminal allows straightforward connection to a USB memory stick. This plug and play connectivity enables you to easily play music files.